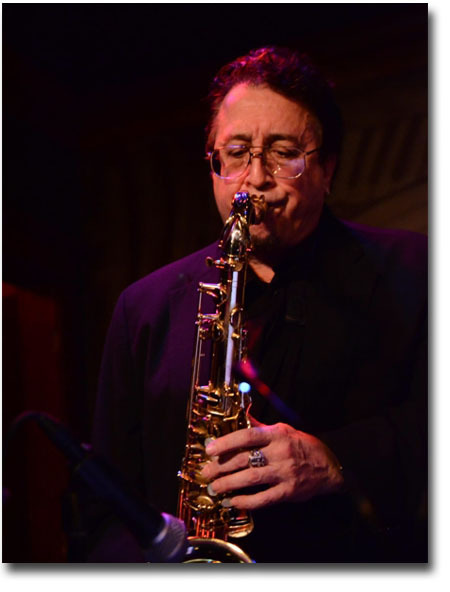 Peter Ballin is an acclaimed jazz artist and studio musician of the Chicago area. As lead of the Peter Ballin Band and Peter Ballin Technology Ensemble, he is dedicated to shedding a contemporary light on familiar and eclectic jazz standards. 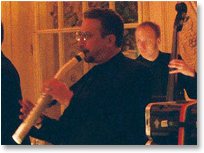 PB Productions offers a wide range of musical services and capabilities, including music for corporate events and weddings, corporate music production, and jazz lessons and clinics. Click here to view the song list. 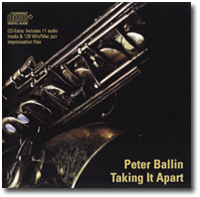 Taking It Apart: The CD-Extra features a collection of eclectic standards that have been modified by Peter Ballin with altered changes giving them a new and modern twist. It is fully CD-Audio compatible and includes 128 special jazz improvisation computer files for students and aficionados of this wonderful American art form. These files include Peter Ballin’s transcribed saxophone solos, MIDI files, altered chord changes to all 11 audio tracks, and lessons in jazz improvisation for aspiring jazz improvisers.